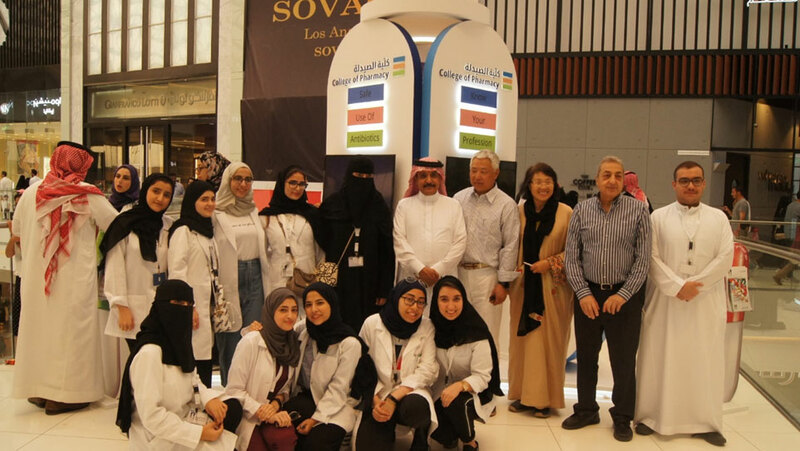 As part of its mission to enrich and improve public health-related practices, College of Pharmacy in collaboration with Public Relations and Marketing Department (PR) and Alfaisal University’s Pharmacy Students Association (PSA), had successfully organized a health awareness campaign at Riyadh Park Mall on the 28th – 30th of March 2019, under the title “Role of Pharmacists in the Community“. Over the course of these 3 days, the campaign was set to educate the local community about safe and effective use of their medications, and to raise awareness of the negative health effects caused by their irrational and inappropriate use. This campaign set forward the above mentioned objectives through its 4 different corners, each led by College of Pharmacy faculty assisted by PSA members, which allowed for effective dissemination of a variety of health-related knowledge to the local community. By attracting over 500 interested visitors per day, the campaign had effectively communicated recent updates on the correct utilization of popular medications in the management of a variety of health conditions either through face-to-face counselling sessions or interactive healthcare-oriented competitions. In the first corner “Ask Your Pharmacist”, patients from the community where given the opportunity to sit with a pharmacist, ask about their medications and take the pharmacist’s advice as to whether they were correctly following their treatment regimens or not, and to provide them with suitable instructions regarding effective management of their health conditions. 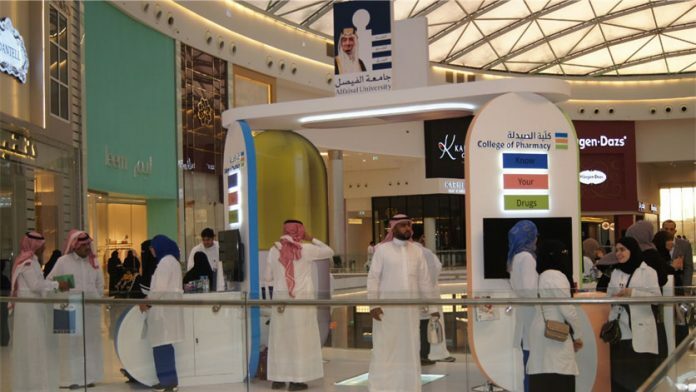 The second corner “Know Your Drugs”, was an interactive corner where community knowledge was tested regarding main uses, side effects and precautions of popular medications in an attracting and rewarding competition style. 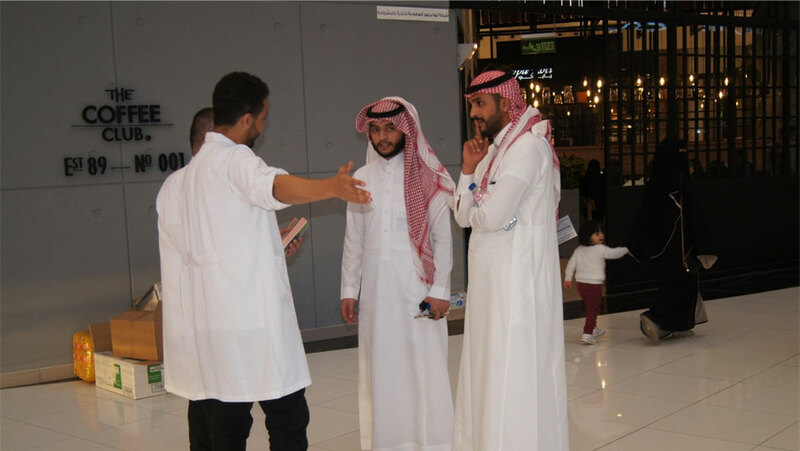 In the third corner “Safe Use of Antibiotics”, the community was educated about the existence of different classes of antimicrobial agents, their indications and their common misuse practices. 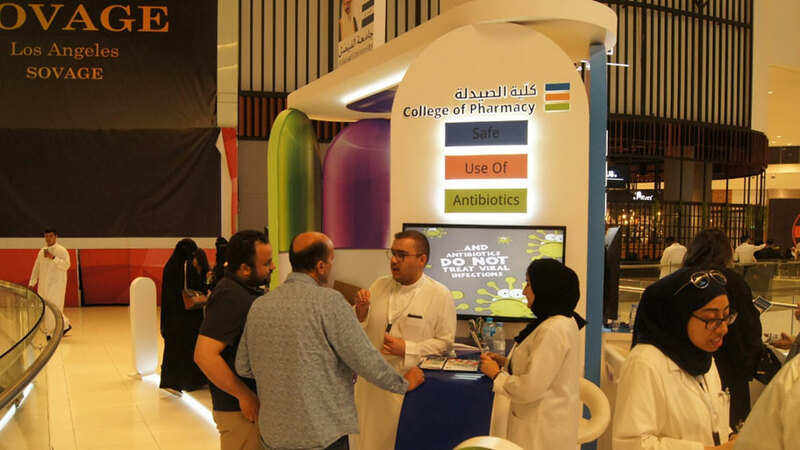 In addition, college faculty and PSA members were able to brilliantly raise awareness regarding the strict guidelines for dispensing these medications set recently by Saudi Food & Drug Administration (SFDA), through use of various illustrative tools, brochures and visual demonstrations. The fourth corner “Know Your Profession”, aimed to educate families and school students about studying pharmacy, available degrees and requirements for admission to pharmacy schools in the Kingdom of Saudi Arabia. Also, to clarify future career opportunities for pharmacy graduates. This experience was a great opportunity, as such it proved the high-caliber education offered at Alfaisal University’s College of Pharmacy led by Acting Dean-College of Pharmacy Dr Manal Alem, through displays of confidence, passion, and dedication of our students in communicating what they have learnt in the finest and most professional way, giving us a great sense of optimism that this profession will continue to improve and be in safe hands in the future.